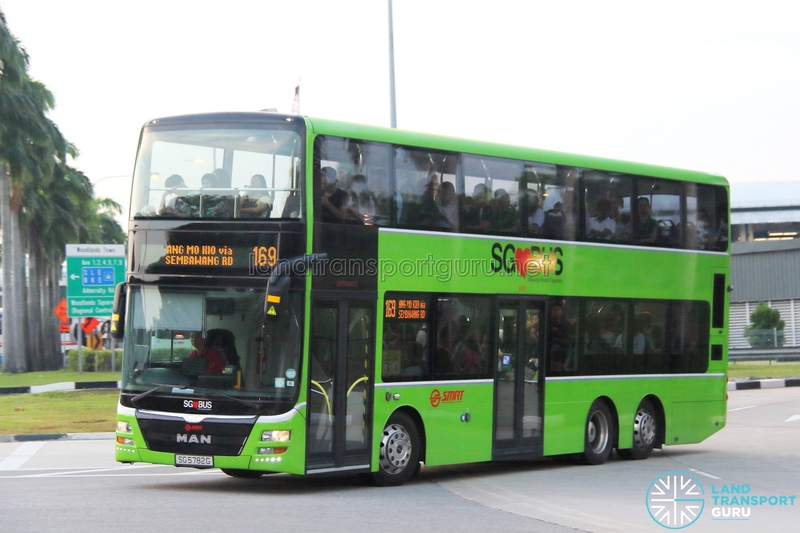 SMRT Bus Service 169B is a Short-Trip Service variant of Bus Service 169. The route operates from Woodlands Bus Interchange and ends at Woodlands Avenue 8 (Bef Admiralty Rd West), operating only during the weekday morning peak hours. Service 169B commences service on 25 February 2019. Short Trip Service 169B is a trunk service operating from Woodlands Bus Interchange and ends at Woodlands Avenue 8 (Bef Admiralty Rd West). 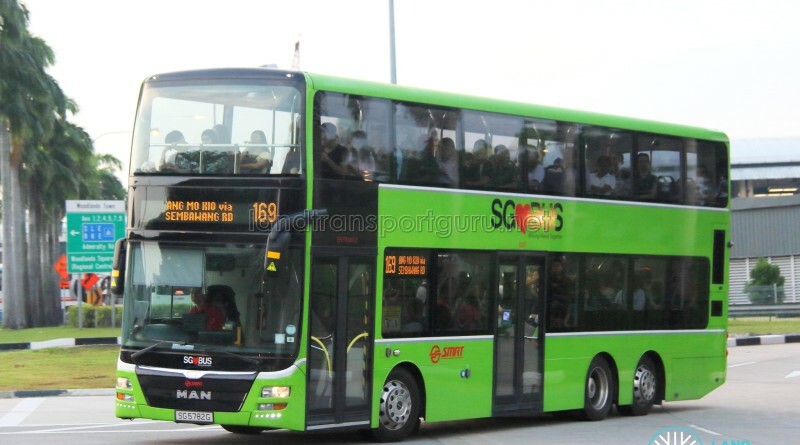 As a Short-Trip Service, the route operates during Weekday AM Peak hours and supplements the high demand for Bus Service 169 from Woodlands MRT/Interchange to both Republic Polytechnic and industrial areas in Woodlands North. The route serves industries and offices along Woodlands Avenue 9 and Avenue 8, including Woodlands Industrial Park. 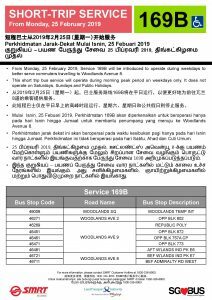 2019 (25 Feb): Introduced from Woodlands Int to Woodlands Ave 8 (Bef Admiralty Rd West). 169B may well cause 902 to become redundant.